The key to projecting commands in the minds of other people rests in understanding what is being communicated. In the 1950′s the UK and USA decided to set up the world’s biggest espionage network to ensure all communications between Russians and spies or allies was monitored. This system has continuously been updated since its inception. The system’s name is Echelon and consists of a vast network of listening posts, extremely advanced computers, an enormous amount of people, dishes and taps. Echelon captures every communication via Internet, GSM, UMTS, landlines, TV and radio broadcasts, satellite communications (private, military and diplomatic) and listens to every word, well the computers do. The computers work with a list of keywords and when a message contains one or more keywords the message is directed to a specialist who examines its content. If the message is ‘suspicious’ further action is taken. “...(M)y laboratory has engineered a novel technology which implements transcranial pulsed ultrasound to remotely and directly stimulate brain circuits without requiring surgery." 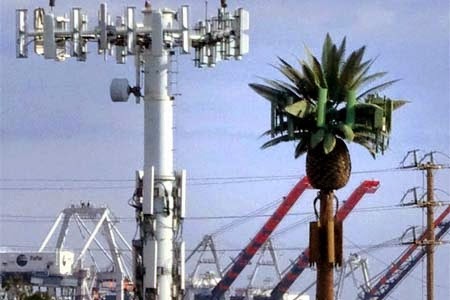 This cell tower- based radio frequency electromagnetic weapon system apparently can utilize various advanced technologies to target human beings. According to information obtained from unclassified patents, defense industry trade journals, as well as an analysis of victim accounts, it appears that the system incorporates sophisticated "synthetic aperture radar" (SAR) video and audio surveillance capabilities via a constant radar-like sweep -- what has been colloquially referred to as "through the wall surveillance." This surveillance and targeting mode requires no traditional cameras or microphones. Some literature also references a three-dimensional, invisible infrared laser targeting sensor array that can be secreted in or near a target's home or place of business. The advanced targeting capabilities of the system makes possible precision-triangulated electromagnetic frequency attacks, prolonged or sudden and momentary, to specific body parts -- internal or external. 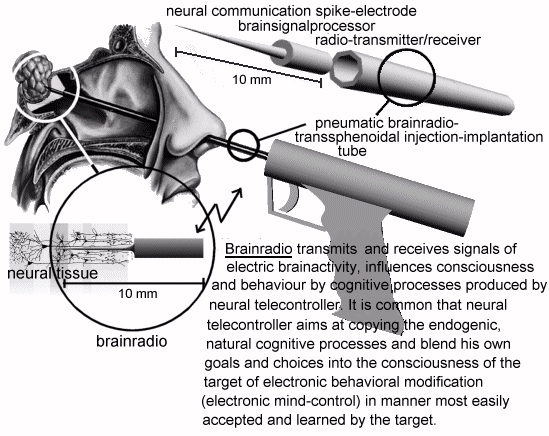 It appears that the system is capable of remote, no-touch "radio surgery" or torturous mutilation of human targets; think of a radio frequency "cyberknife" that can be remotely inflicted upon unknowing human targets. The literature states that targeting systems can triangulate on vehicles or any moving target, facilitating precision attacks even if the target is traveling at extremely high rates of speed. The electromagnetic radio frequency attack system is capable of acquiring targeting coordinates from the intended victim's cell phone or GPS unit. 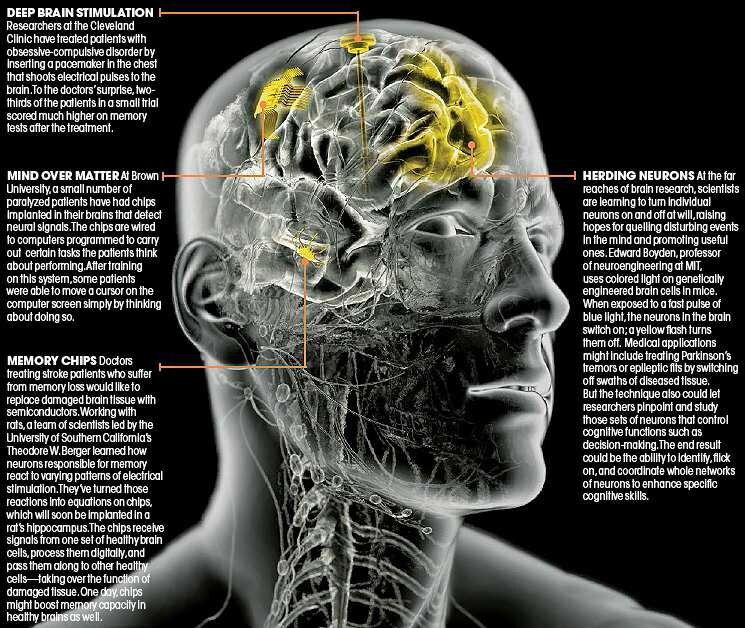 In that case, the targeting is believed to be less precise, but still capable of generating disorienting and painful attacks, such as prolonged and unremitting headache and induced weakness and fatigue. 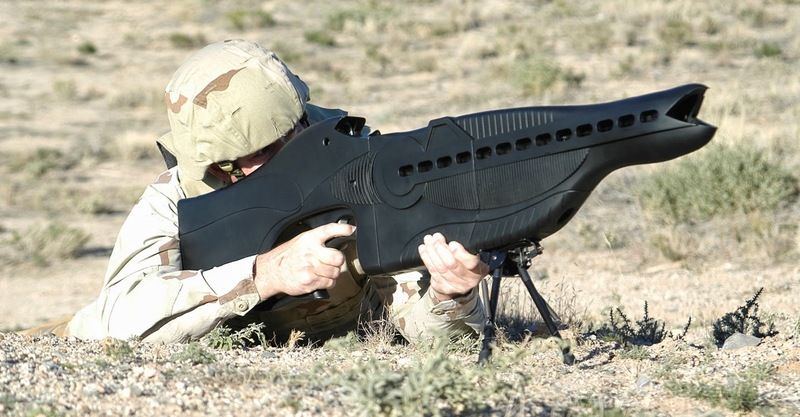 It is believed that the government has equipped certain personnel -- either its own agents, or, some victims believe, local law enforcement or civilian vigilantes -- with portable laser-equipped devices that can "paint the target" from a distance. It is possible that some sworn officers may be under the impression that this technology is used merely for "through the wall surveillance," not to attack citizens they are sworn to protect. The literature also indicates that the electromagnetic weapon system can engage the target by way of tiny RFID tags covertly placed in or on the target's possessions or clothing, or RF microchips implanted inside their bodies (via injection, or surgery). Film-thin RFID tags are ubiquitous in everyday commerce, used for inventory tracking of many consumer products. "GPS-linked" video surveillance systems, in public areas or inside commercial establishments, also could be used to transmit targeting coordinates to government command centers. High-powered military satellites are believed to be capable of detecting ground-based tracking devices from low Earth orbit. The article linked below, from the web site of the conservative Heritage Foundation, describes a directed energy weapon system that sounds much like the cell tower- based system described here. The article discusses an electromagnetic wave/laser weapon system capable of both tracking and engaging a speeding target at the speed of light. The Heritage Foundation article describes directed energy weapon systems as "under development," despite the fact that the cell tower- based system is fully operational. Also, sentences referencing the effectiveness of directed energy systems against "human targets" such as "terrorists" apparently have been expunged in recent weeks -- after this author quoted the article in the "comments" section of this web site. The same frequency from wireless signals also cause honeybees to become so disoriented that they finally just die. See here.